SimTech is the simulation conference organised by CORYS, a benchmark player in the Power, Transportation and Hydrocarbons industries. From 26th to 28th March , in Grenoble, France, SimTech brings together experts and simulator users for a unique opportunity to exchange thanks to conferences and demonstrations. "SimTech was the opportunity to find new perspectives to address my issues. As a result, SimTech is an event that opens the door to new discussions." "At SimTech my exchanges about our environments with international colleagues provided a template to further the evolution of U.S. regulations." 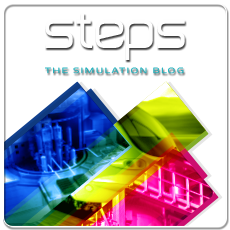 “As we already use CORYS simulators, SimTech was the perfect opportunity to exchange with other companies. I was happy to discover CORYS' innovations."